Over the past couple of months I've been getting a lot of questions about what goes on at a Fashion's Sweethart shoot, who I most enjoy working with and what my favourite part of shoots is. I personally love the interactions with other creatives on shoots. I love that my team often provides me with the ability to style my vision and pretty much boss them around until I get what I want. I also have alot of fun on shoots, especially when I get to select my own crew. You'd probably have noticed that I tend to work with particular creatives quite often, and there's no point lying, it's because they're my favourites. They let me huff and puff, meow like a cat, change my mind, stop the whole shoot for a break because I'm hungry. I'm not really painting myself in the best light am I? Perhaps it's better if I share with you what these special crew mates of mine, think on the topic of Fashion's Sweethart shoots and working freelance in Brisbane as a whole. Q. 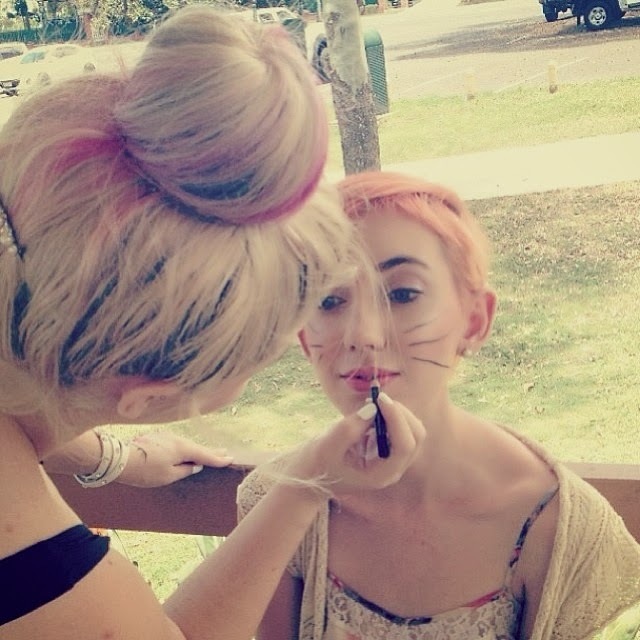 What is your favourite thing about being a freelance photographer/makeup artist in Brisbane? Haley: "I love having such a huge amount of variety within my job. Being in Brisbane means I get to work closely with upcoming local designers and models, allowing me to constantly work with amazing teams and network." 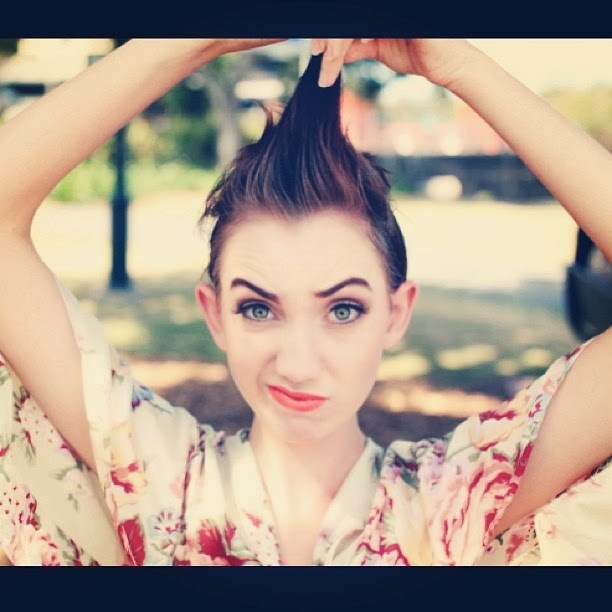 Elise: "Brisbane has a lot to offer in terms of interesting creatives to work with. I really enjoy that no two [creatives] are the same. For such a small town mentality there is a lot of variety!" Molly: "Meeting creative people in the industry. Everyone is encouraging and supportive. Brisbane has a unique sense of style, people aren't afraid to wear a bright lip stick for their morning coffee. It's inspiring for a freelance makeup artist, I can be fearless when developing my own line of colours." Selby: "I'm excited that Brisbane is emerging as a such creative city. I love being a photographer here because there are so many amazing people to work with and for and so many great opportunities!" Sarah: "I love the way a women's face lights up when they look in the mirror after my work is done. It is the best feeling in the world when they turn to you and say how beautiful they look and feel. That would definitely be my favourite thing about being a makeup artist." Q. Favourite thing about working on Fashion's Sweethart shoots? Sarah: "From the photographers to the models to Fashion Sweethart herself, they are the most kind hearted and caring people to work with. Everyone works as a team to get the job done and enjoys every moment of it." Molly: "The beautiful, well developed stories within each shoot. Claire always has a detailed vision and it carries through from start to finish." Elise: "Fashion Sweethart shoots are fun to work on because they always have an element of character or sometimes plot development. That and I can now say I've met someone who progressively turns into a cat during photo shoot. That's a pretty impressive skill! What I've enjoyed most is watching Fashion Sweethart's style grow and change from when I first collaborated with them." Selby: "The freedom of creativity and the creative teams coming together!" Haley: "I love working with Fashions Sweetheart because I know when Claire Nadas involved, you really can't go wrong. There's never a dull moment and the shoots are always kept fresh and interesting." Q. Unforgettable moment on an Fashions Sweethart shoot? Elise: "Funnily enough my favourite moment was from our first shoot. I had an idea as we were in the mountains without a rolley rack or any assistants to use a tree branch to hang the garments. The branch broke and the garments fell to the sodden forest floor. But we pressed on!" Sarah: "It was a cold rainy day and we had organised an amazing shoot at the power house. Determined to get the photos we wanted we ran through the rain, I got soaking wet. Fashion Sweethart used it to her advantage and used a beautiful rainbow umbrella. 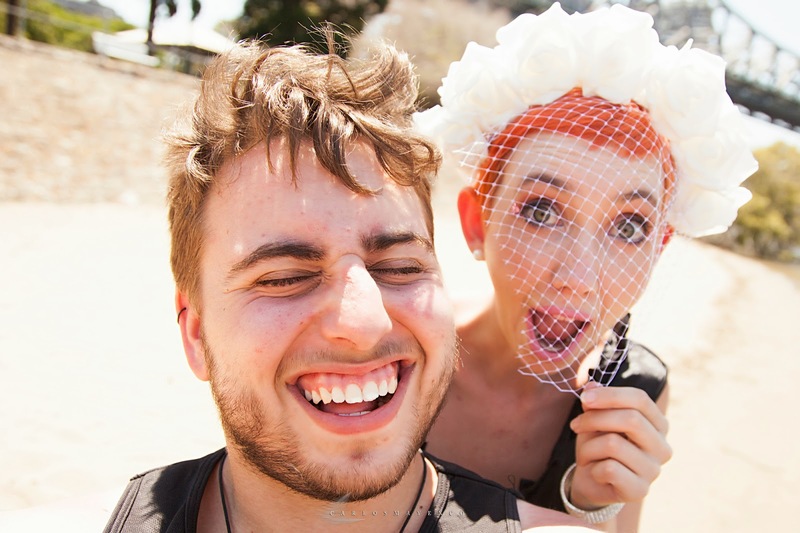 The photos turned out to be one of our favourites shoots together. It goes to show sun, rain or hail we will get the job done and turn it into one of our many fun memories together." 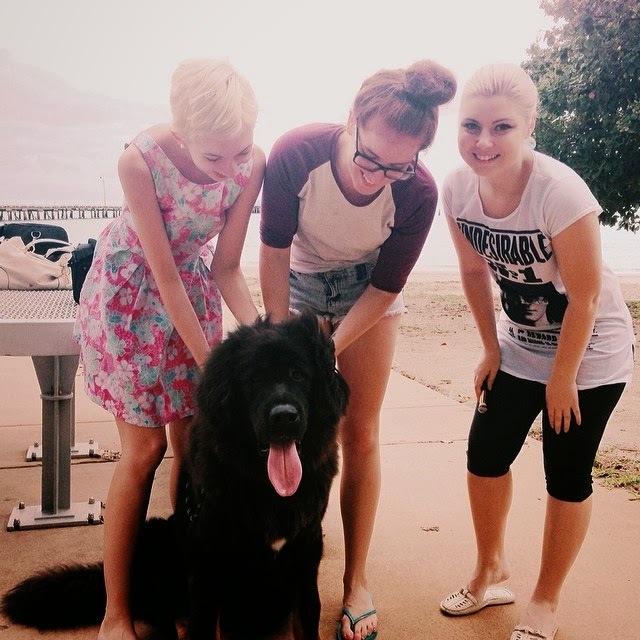 Haley: "Unforgettable moment.. Can I say meeting that Tibettan Mastiff named Roman? If not.. I would say our very first Photoshoot, I had no idea at the time how much more we would work together and it led me to meet other fantastic people in the industry, like Elise Walsh!" Selby: "By far the best moment on an FS shoot was at our Mount Tambourine collaboration with blossom headpieces and Drowning In Decadence Vintage! The whole day was full of wonderful outfits and moments and the team was exactly what I love about Brisbane. Amazing!"